Any items not listed below, please contact us as we may be able to order it through our medical supplier. Physioactive has gait aids available for both hire and purchase such as walking sticks, frames and crutches. Available for purchase to assist with fracture and injury management. Available in 4oz and 16oz, Flexall is a pain relieving gel, which is useful for arthritis, backache, muscle strains and sprains. An anti-inflammatory gel used for temporary relief of local pain and inflammation in acute soft tissue injuries such as sprains, tendonitis, bursitis and sports injury. A resistive band used for strengthening exercises. Theraband comes in a number of different strengths. 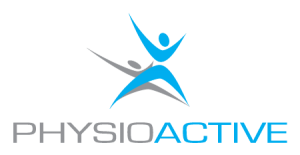 Used to help provide support to joints for injury prevention and/or postural support. Help provide support to the pelvis to reduce the strain on the low back and pelvic region, especially during pregnancy when this area can become unstable. Used to immobilize the upper limb due to an injury or post surgery. Inserts for your footware that provide support and alter walking biomechanics to reduce strain and stress on feet, knees, hips and even the lower spine. Memory foam pillows provide great support to the cervical spine, thoracic spine, head and shoulders. They help maintain the natural curves of the spine to reduce pain and discomfort. V-pulse is an ice/compression machine that helps to reduce inflammation and swelling. This is helpful within the first few days after an acute injury or in the post-operative process. For more information please call our clinic. Provide an unstable surface to be used in conjuction with exercise, to help work the core strengthening muscles of the spine and adbomin, and used as an exercise tool. When heated in the microwavethese become hot for an extended period of time. These are helpful to reducemuscle tightness and tension when place on the appropriate area. A heat patch that last forup to 12 hours. Helpful to reduce muscle tightness and tension, and isrecommended for long trips such as airplane flights or long car trips.